I’ve got one thing to hang my hat on with my 2010 baseball predictions: I said that it’d be a year defined by pitching, and I think that held true. Mark Buehrle started the season off with an amazing play on opening day, and things only got better from there. We saw 2 perfect games this year, one in each league: Dallas Braden in the American and Roy Halladay in the National League. These were 2 of the 5 no-hitters thrown this year, the most in a single season since 1991. Interestingly, only two of these pitchers don’t have tee times right now (Halladay of the Phillies, and Matt Garza of the Rays). And then, of course, there’s the perfect game that never was, thrown by Detroit’s Armando Galarraga. I think that kid gained a lot of fans, though, including myself; I was shocked and impressed by how classy he was in shrugging off an incident that would’ve sent countless other professional athletes into a childish foot-stomping fit. So really, there were 6 no-hitters thrown this year, though only 5 of them will count in the record books. This is the kind of stuff you start to pay closer attention to when your team is clearly out of playoff contention nearly from the start of the season. You also look to find other gems—seeing #1 prospect Jason Heyworth’s debut with the Braves, for instance. Or you take an unreasonable amount of pride in the fact that Marlon Byrd won the All-Star Game (single-handedly, as I recall it) for the National League. Or you gain an interest in your team’s farm system, hoping to have something to look forward to in the future. After their annual trip to San Francisco in early August, though, I had little to keep me interested in the Cubs, and gradually stopped paying attention altogether as their roster looked more and more like their triple-A affiliate, the Iowa Cubs, than it did a big league team. So maybe you start to follow another team. Living where I do, I go to a dozen or so Giants games a year as it is, only cheering against them when the Cubs are in town. (One of my favorite things to do is to go when the Giants are playing other NL Central teams, which I’m quite used to rooting against anyway.) As it happened this year, right around the time I was giving up on following the Cubs, the Giants began to make their playoff push. And as luck would have it, they went ahead and traded for a likable Cubs player in Mike Fontenot to make me feel like I had more of a connection. (Megan already felt the same way, since her former favorite Cub, Mark DeRosa, had been traded to the Giants last year—even though he missed this entire season with a wrist injury, we can still enjoy seeing him in the dugout.) It’s still not the same, mind you—3 years ago at this time I had tickets to watch post-season baseball at Wrigley, and while I’m really excited to attend some playoff games at AT&T Park, I know it won’t equal that experience. I’ll do my best to hold down my spot on the Giants bandwagon, though. So my “fan rate” this year was only a measly 68.5% (I followed, one way or another, 111 out of the 162 games). But then again, it’s not like the Cubs did a lot to earn my support this season. Their best month of the year was September, when they went 17-9, and I only paid attention to 6 of those games. So it goes. My predictions were actually pretty good in the National League, as far as playoff teams go, at least: I had the Giants and Phillies winning their respective divisions, and pegged the Braves as the Wild Card team. I had the top two teams in the Central reversed, thinking the Reds would make a big jump this year but underestimating just how big it’d be. In the American League, I didn’t fair nearly as well. The only playoff team I got correct was the Yankees, but I had them winning the East instead of the Wild Card. Their division went to the Rays, who I greatly undervalued. I had the Central jumbled up, picking the Twins to finish 3rd. I did the same thing with the Rangers in the West, a division I had almost completely upside-down. So 4 out of 8 overall, which I suppose isn’t too bad. I’m pleased to find that for once, the league I follow more closely (the NL) was the one for which my predictions seemed to be more accurate. Maybe I’m learning. Having a fairly strong case of Giants Fever means it’s tough for me to objectively predict this year’s playoffs, but I’m going to give it a shot. I think the Rangers fall into the “just happy to have made it” category, though with their lineup they’re always dangerous. The Rays were the best team in the AL this year, so I don’t think they’ll have much trouble winning it in 4. The Yankees seemed happy to settle for the Wild Card and a matchup with Minnesota, a team they’ve handled well in recent years, but I think home field advantage will prove to be the deciding factor in this series, and the Twins will take it in 5 games. Like the Rangers, I think the Reds are a team that blew its load just to win their division. Also like the Rangers, they have a powerful lineup but a pitching staff that I can’t see carrying them through a Division Series. The Phillies are just too strong, and I think they’ll sweep it in 3. While I’m glad that Derrek Lee gets to play in the post-season, I think that’s as far as he’ll get. The Giants won their division on the final day of the regular season against the one team they’ve really struggled against this year, so I think they’ll handle the Braves in 4 games. The Rays are strong, and they’ve been here before, but I think it’s the Twins‘ time to make it to a World Series. I’m giving them the edge in a tough 6-game series. If this series comes to be, it’ll be the highlight of this post-season. While I think the Phillies can never be counted out, I think it’ll be the Giants‘ pitching staff—particularly their bullpen—that can give them the pennant in a classic 7-game series. I said it’d be a year defined by pitching, and this series should end up being the pitching showcase of the year—though both teams have plenty of power at the plate, too. I said at the start of the season that I’d much rather see a Giants-Tigers matchup than a repeat of last year’s Phillies-Yankees, and while I was wrong about the Tigers this year, a series between the Giants and the Twins would come pretty close (but of course Yankees-Phillies remains a possibility, too). I’m going to stop myself short of predicting the outcome; if this series happened, I’d likely be spending thousands of dollars to attend a couple of games, and thus would literally have too much invested in it. I’d actually give the Twins the edge on paper, but the emotional side of me says the Giants can put 4 games together out of 6 or 7. Maybe some of this is wishful thinking, but it’s nice to at least have a vested interest this year. 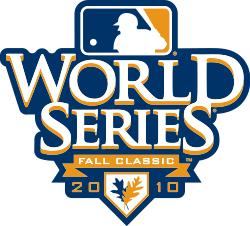 I don’t mind riding the bandwagon, especially if it means I get to see the World Series played in person. The Cubs are totally positioned for next year, anyway. Sadly, the Twinkies are gone. TB seems to have suddenly remembered how to score runs, but I still hope the Rangers take them out. Funny how you mentioned the Cubbies ended up looking like a AAA team. The Red Sox went the same way, although some of their replacement players contributed mightily. I hope McDonald and Hall find starting positions somewhere next season. I didn’t go into it (maybe I should have), but the Cubs’ AAA-looking version of themselves was actually the best part of watching them this season. They’ve got a lot of young talent, and probably the strongest farm system I’ve seen from them in many, many years. Just watching Starlin Castro come up and get a chance to play this year made it worthwhile to follow a losing team; he and the other youngsters give me a lot to look forward to in the future. I feel the same way about Castro and Colvin that you do about McDonald and Hall, basically. Well you were half-right with the WS picks. Kudos to SF and their fans. Nice to see new teams in the big game. Kudos to SF and their fans. Well deserved. Lincecum has a hell of an arm. And despite Wilson bizarre beard, he was lights out. Well done. I’m actually a little disappointed that it wasn’t a 6- or 7-game series, as it seemed to have that feel. Still a great matchup, though, and true to the theme of 2010, the stronger pitching won out. I only made it to one NLDS game—the one the Giants lost—but it was still pretty cool seeing my surrogate “home town” team win it all. They’re a classy organization, an old-school team, with lots of really likeable players. Pretty exciting times.